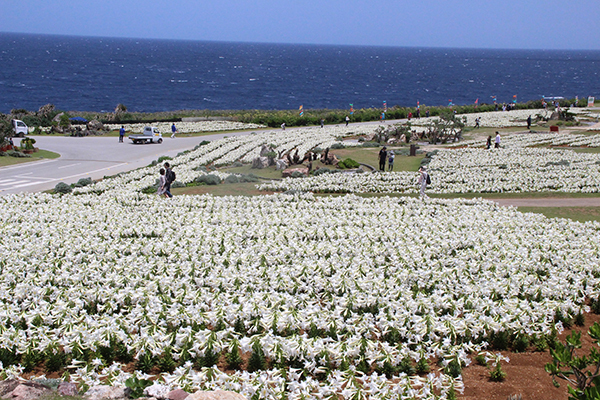 One million lilies that grow from 200,000 bulbs blanket a big park that measures 86,000 square meters on Ie Island, known as the flower island. Ie is located only 30 minutes by ferry from Motobu Port in northern Okinawa. With an increase in frequency of ferry runs during the festival, the island welcomes a large number of visitors every year. There will be food stalls selling a variety of food items at the park during the festival. 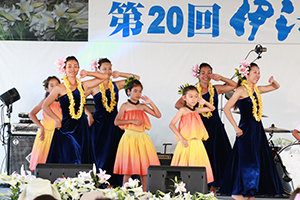 In addition, fun entertainment shows will take place in the afternoon, April 29 through May 4. 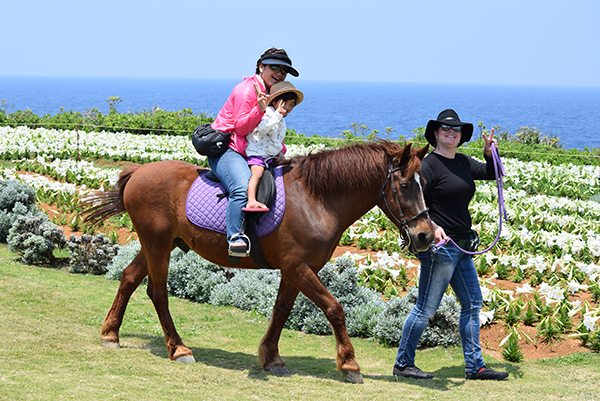 A five-minute horseback ride can be enjoyed for 500 yen during the festival period. 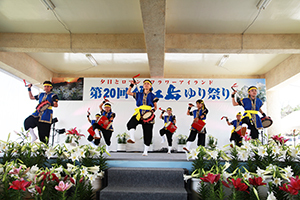 The first day of the festival, April 23, will feature a fireworks display, too. 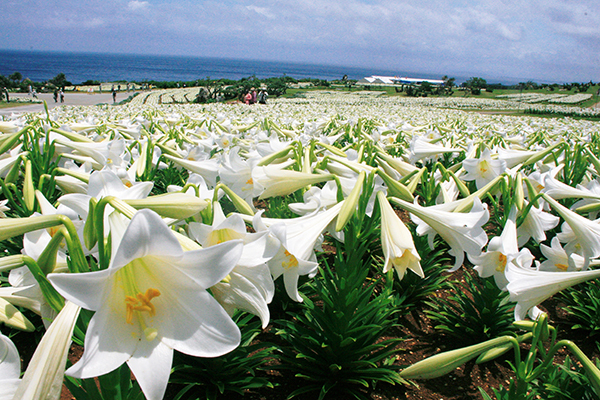 Lilies have a short flowering period, and they can be seen in full bloom during this festival only. Don't miss it. Ie Island is located about 30 minutes by ferry from Motobu Port. *More ferries will be operating April 23, 24, 29, 30, May 1, 3, 4 and 5 with departures from Motobu Port at: 9:00/10:00/11:00/13:00/15:00/16:00/17:00/17:30/18:15. Ferries for Ie Island can get very crowded during the Golden Week holidays, which run from April 23 through May 6. You are highly recommended to visit the festival before Golden Week begins to avoid the crowds and enjoy a stroll around the lily garden in a more relaxed setting.